Welcome to Good Karma Resale - an online department store specializing in a wide variety of brand new, vintage, pre-owned and handmade items where 10% of every sale is donated to one of our selected charities, chosen by our awesome customers during the checkout process. The more you shop, the more our charities benefit! To learn more about our supported causes and the donation process, check out our About page. I want to spread Good Karma, Let's Shop! The way it works...During the checkout process, our valued customers can select the cause they wish to support on a drop down menu. To learn more about our giving or monitor the donation status of a selected cause, click on the Donat﻿ions page. We invite you to pull up a comfy chair, grab your favorite beverage and pause a while to browse our sale pages. Just click the shop tab above or the shopping bag below. Select an item, or two or three and feel good knowing that you're getting a great deal and helping to support a worthwhile cause! To learn more about the causes we support, please check out our supported causes page. ﻿9/9/16 - We are pleased to announce the launch of Good Karma Resale Vintage on Etsy! We are working on getting the store stocked and new items are being added. Good Karma Resale is now on Pinterest! We've been working hard to upload our available merchandise to our Pinterest boards. Check out the great selection! We also feature a board called "Fabulous Finds"* where we showcase the great items of some other excellent Ebay stores. You can find us by clicking the social icon at the top of this page or go directly to Pinterest by clicking here: www.pinterest.com/goodkarmaresale See something you like? Click on the link to purchase. Easy peasy! *Please note merchandise listed in the Fabulous Finds board other than listed by Good Karma Resale, are independent businesses and do not participate in Good Karma's donation program. Some of these stores may have their own donation program. Please visit the individual stores' "about" page to determine what if any donation program they have. 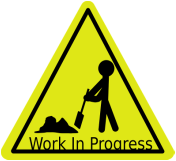 Pardon our appearance as we work to give the Good Karma Resale website a fresh new look! To start shopping click the shopping bag or use the drop down menu at the top of the page. Good Karma Resale is an ongoing labor of love so please check back often as our inventory is continually being uploaded! Hoping to make the world a little nicer place one sale at a time!